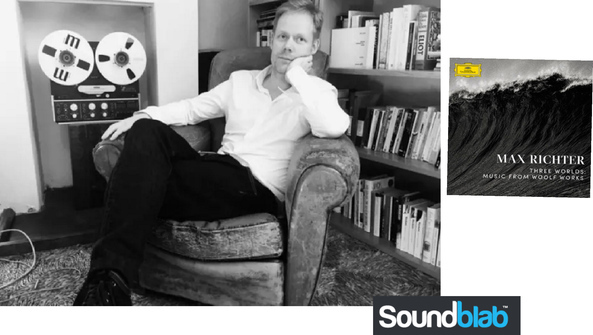 With the release of Memoryhouse in 2002, the world was introduced to Max Richter's unique talent for combining sounds that seemed to both satisfy and defy the label of "modern classical." It's a label that's all too easily applied to any music that seems as if it could soundtrack dramatic moments in independent films, and while this certainly applies to much of Richter's music, he has consistently produced albums that manage to surprise with their creativity even as they subtly overwhelm with their emotional impact. After the impressive feat of composing an 8-hour album, and a very good one at that, Richter now takes a respite from his frequent excursions into music for film and television and returns to Deutsche Grammaphon with a concept album. This time the inspiration is English author Virginia Woolf, and Richter's compositions provide the score for a ballet now being performed at London's Royal Opera House. Readers may be happy to know that my lack of familiairity with Woolf's oeuvre (sadly, my experience is limited to picturing Nicole Kidman's prosthetic nose in The Hours) did nothing to dampen my enjoyment of the album.